and earth, to bear on human needs. and the next, around the world. That church necessarily will be one in which the people, not just the clergy, do the work of the ministry. More than a body of believers, the church is a body of Christian workers. forced to follow or if those called to follow are trying to lead. 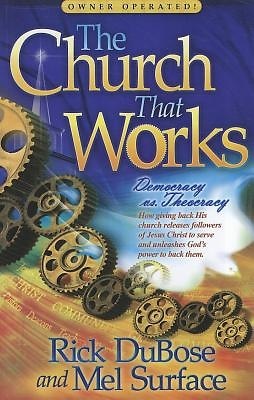 The Church That Works explores giving Real Power to the People.